Like any major purchase there is a degree of research that takes place before selecting a vendor and placing your order. You need to make sure you do your due diligence and you are fully prepared before you make a decision. Since it can be a complicated process, let’s take a look at some common mistakes that are made when purchasing office cubicles, in an effort to help you avoid making them in the future. I understand that price plays a large part in every businesses’ purchases, however you need to be aware of what you are getting for that bottom dollar price. Before you go out and simply select the least expensive vendor, you will want to research thoroughly the reputation of the company. Ask and call references, ask for case studies, visit a current customer if you can, basically any type of background information you can learn is useful. Learning this information upfront is imperative, because it can raise any red flags that are out there and even save you from having to spend additional funds to make up for any shortcomings. I’ve seen this happen before, where a business wants X amount of cubicles and X style and when it comes time to install, there isn’t enough space or there are unforeseen barriers. To avoid this, make sure you properly measure your space and make the designers aware of any changes that may occur in the future to the space. For example, if you know there are walls that are going up, or down, make the designer aware so they can account for this in their space plans. Anything that you think may affect the installation of the cubicles is important to note. I have also seen this happen a number of times, the day for installation arrives and the tenants’ space is not ready for the cubicles to be installed. 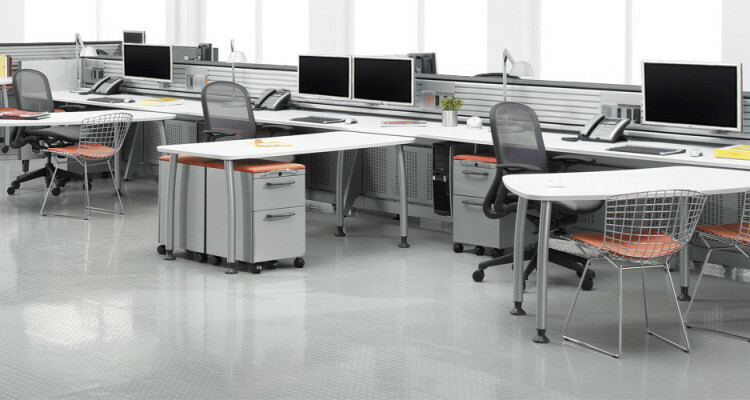 This can incur additional costs and delay your cubicles being installed. For example, if your cubicles are going to be powered (have data and electrical running through them) you will want to make sure the electrician is there the day of the installation. If you have employees who need to continue working while the cubicles are being installed, be sure to schedule the installation around this. Another big mistake that is made is understanding how the cubicles will be brought into the actual space where they will be installed. Communicate whether there is an elevator or if it will need to be a stair carry. If there are surprises on installation day in regards to this, it can result in additional fees and delays. No Comments on "3 Mistakes to Avoid When Purchasing Office Cubicles"